Bangladesh Women in Technology - BWIT was recognized by DELL on 29 April 2014 at the Dell Appreciation night” at 7:00 pm in Harmony Hall, BICC Under the category of ICT ecosystem development and Bangladeshi Women in Information Technology (BWIT), outstanding contribution in developing the local ICT sector and promoting and encouraging women and Girls in ICT in Bangladesh. 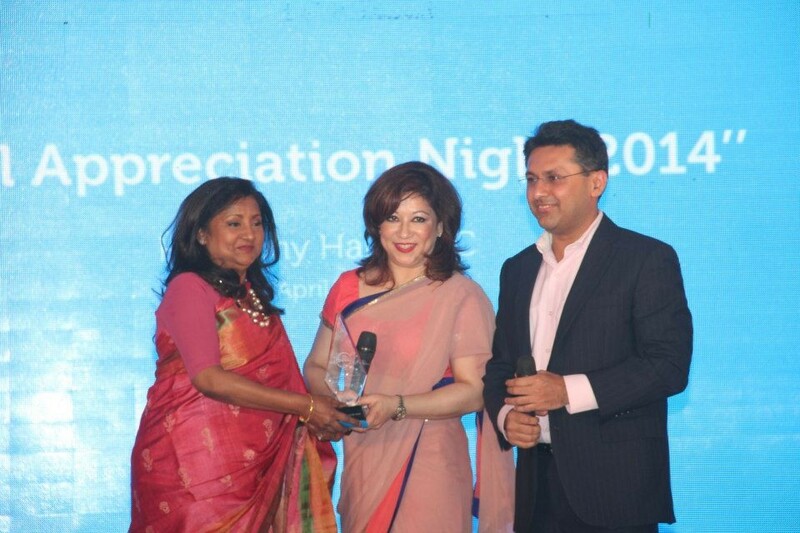 Luna Shamsuddoha President, Bangladesh Women in Technology - BWIT was awarded by Saleh M Munshi, Managing Director, Indonesia & South Asia Developing Markets at Dell and Sonia Bashir Kabir, Country Manager, Dell. Sonia Kabir and Mr. Munshi deeply appreciated BWIT‘s initiative Empower women to achieve success through technology and drive change in the Bangladesh technology industry. Luna Shamsuddoha accepting on behalf of women in IT in Bangladesh thanked for recognizing and On behalf of Bangladesh Women in Technology expressed appreciation and gratitude to DELL for the Recognition Award given to BWIT. 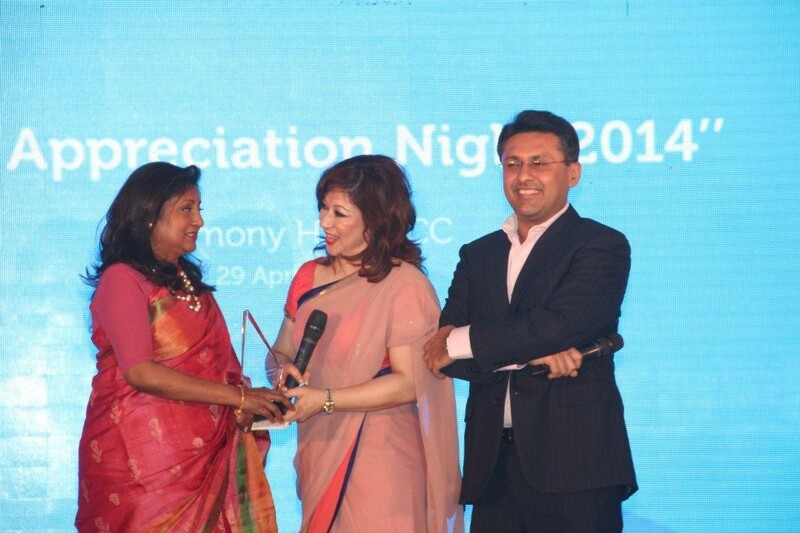 It is an immense honor for BWIT to be recognized by DELL a much admired global IT company. This appreciation is most gratifying, recognizing the initiative and effort of BWIT and its contribution to motivating women to pursue technology career and encourage entrepreneurship. The DELL Award is going to give Bangladesh women a huge impetus in not just the IT industry but other related industries too. This will motivate not only women who are in technology profession, the girls who are expectantly coming forward Among others Daffodil Computers Limited, Computer Source Limited, Global Brand (Pvt) Limited, RM Systems Limited, Smart Technologies (BD) Limited, Ryans Computer, Aamra Technologies Limited also awarded for their outstanding performance. Under the category of ICT ecosystem development BASIS, Bangladeshi Women in Information Technology (BWIT), Bangladesh Computer Samity (BCS) and Bangladesh ICT Journalist Forum (BIJF) were awarded at the Dell Appreciation Night.